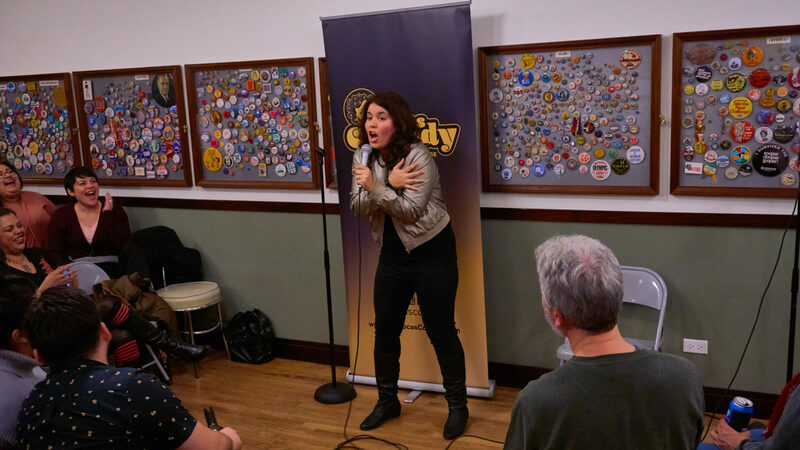 Since she’s decided to embark on this frightening/exhilarating comedy journey, she has studied stand up with the Feminine Comique program at the Lincoln Lodge, storytelling with The Kates and improv at Second City. She’s been a steady presence in the Chicago area open mic scene and is regularly booking showcases and festivals across the Midwest (and Canada!). She’s performed at Laugh Factory, Zanies, LaughFest, SheDot and Chicago Women’s Funny Festival. In early 2017, along with fellow Latina comic Soli Santos, she created Las Locas Comedy, a monthly comedy showcase that highlights Latina talent. Since the first show in February 2017, they have had standing room only shows and been selected as a RedEye “Must See Comedy Show” and a Chicago Reader Recommended event. Janice is still a workaholic but tries really hard to balance it all while being a childless, negligent wife, non-caring daughter and reluctant friend.